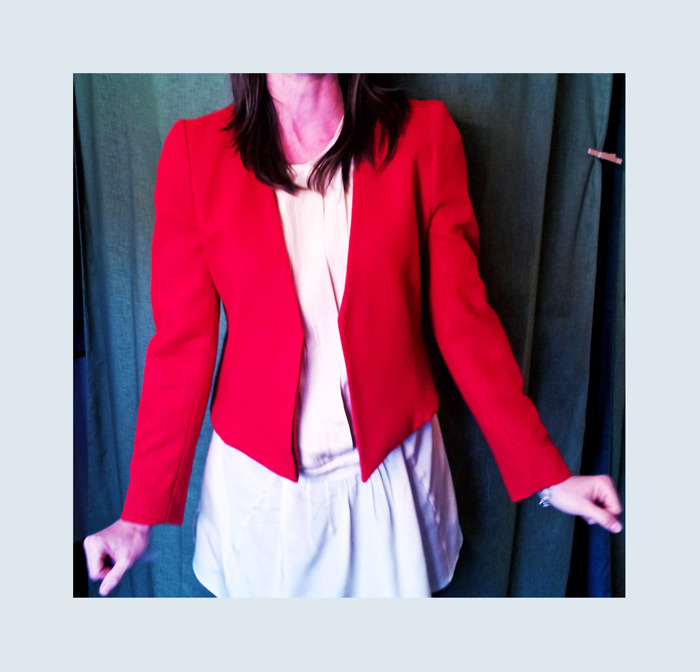 This fabulous red blazer was a hand-me-down from Lindsay’s mother. 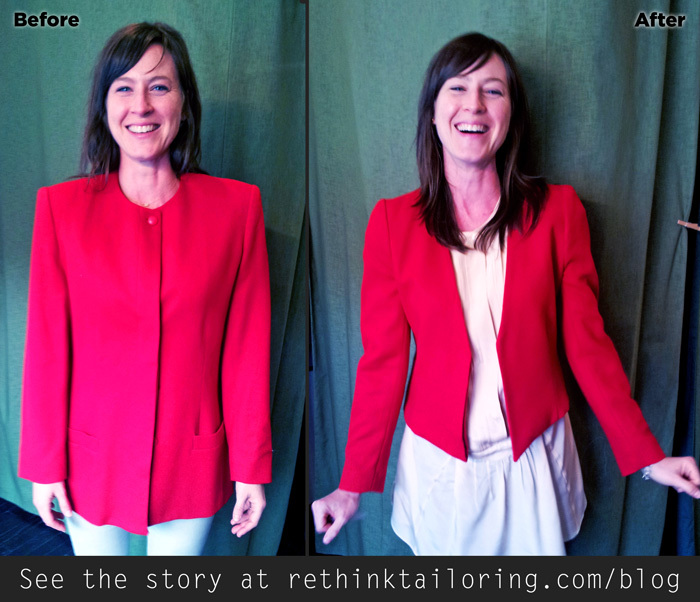 She wanted the blazer to fit in with her modern wardrobe, but between that neckline and the shoulder pads, it needed a little revamping to get there. I recut a lot on this coat, including the shoulders, but I also removed about 6″ from the waist. We decided on an open, collarless shape at the necklike, much like what Theory has been doing with their women’s suits. As you can see, when Lindsay picked the revamped piece up, she could not stop giggling she was so excited. Gotta love that! !